The conflict in Donbas continues to escalate due to a sharp increase in activity by Russian-terrorist troops carried out under the pretext of delivering “pre-emptive strikes” to counter an imaginary “offensive by Ukrainian troops” in the run-up to Ukraine’s Independence Day [August 24th]. The terrorists are making use of practically all their front-line weaponry (various types of armored vehicles and artillery, including rocket artillery) on several sections of the front line simultaneously, both in Donetsk and Luhansk oblasts. In the areas of Novomykhailivka, Stepne and Berezove, militants are actively utilizing 120 mm mortars and 122 mm artillery to shell the advanced positions of the ATO forces, as well as a number of strongholds in the tactical depths of the Ukrainian defenses. Four mortar batteries and three 122 mm artillery detachments (totaling twelve 120 mm mortars distributed among several firing groups, plus twelve 122 mm cannon artillery guns) were identified in these localities. Within this area, militants established centralized artillery firing control for all mortar and artillery detachments (the presence of a single artillery command post was noted). Active shelling by Russian-terrorist troop formations was also observed in the vicinity of Krasnohorivka, Lozove, Pisky, Opytne, and Avdiivka. In addition to the usual “traditional” shelling from 82 mm and 122 mm mortars, AGS-17 automatic grenade launchers, and ZU-23-2 anti-aircraft systems, militant became more active in their use of artillery. Brief fire strikes on the advanced positions of the ATO forces, from 122 mm and 152 mm artillery, were recorded in the vicinity of Opytne; up to a dozen shells were fired at the settlement of Krasnohorivka (in the vicinity of the brick plant). At the same time, the enemy used several armored groups over the past 24 hours, which operated in a number of sectors. Thus, a group of militant tanks (three units), supported by four armored fighting vehicles (two BMP-2 infantry fighting vehicles and two BTR-80 armored personnel carriers), was active to the northwest of Donetsk Airport, from the direction of Spartak. Militant armored vehicle groups using the “tank + mortar” scenario continue to operate in the Svitlodarsk bridgehead. Around Popasna and Novozvanivka, active firefights were noted, where militants employed small arms. In the vicinity of Krymske, Shchastya, Stanytsia Luhanska, Starohnativka and Novolaspa, militants used 120 mm and 82 mm mortars, as well as AGS-17 automatic grenade launchers. In the vicinity of Bohdanivka (the coastal direction), militants fired some 40 full magazine salvoes from 122 mm BM-21 Grad multiple rocket launch systems, firing from six MLRS units in succession, over a period of several hours. 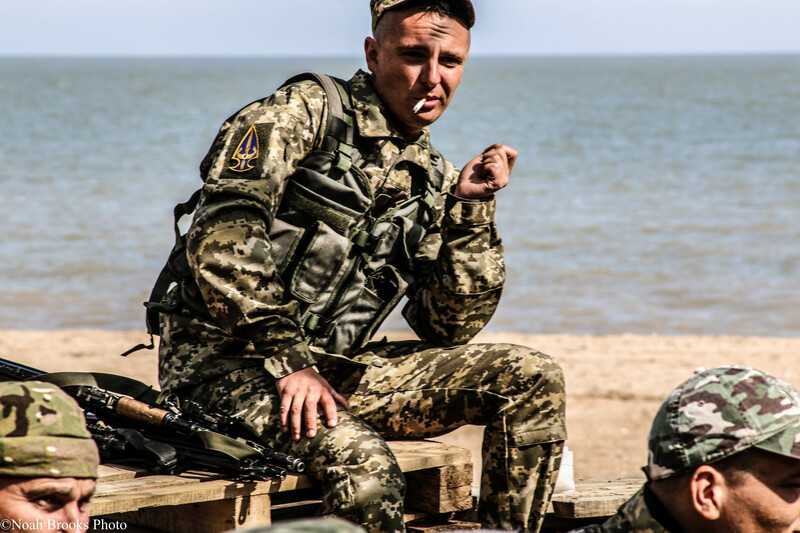 Over the past 24 hours, Ukrainian troop units reinforced their positions along the new line to which they advanced after the fighting on 08.10.2015 (high ground 209.7 – Bila Kam’yanka), firing from their new positions to repel the militants’ attempts to dislodge the ATO forces units from their high ground. During the past 24 hours, the enemy subjected this area to continuous shelling, using 152 mm and 122 mm artillery in an attempt to engage the advanced ATO troop positions, communications lines in tactical depth, as well as command and control points and supply points. 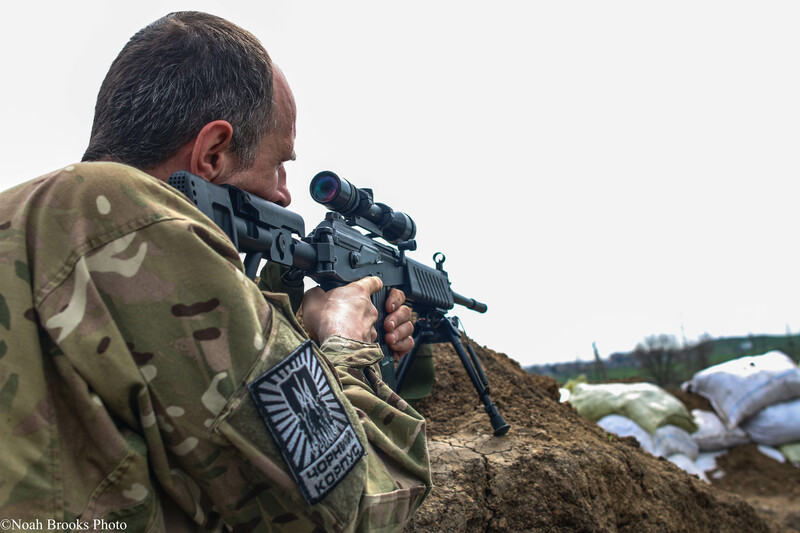 In the past 24 hours, small infantry groups of militants (each up to a platoon strength of 25-30 men) resorted to active maneuvering and made three attempts to penetrate the rear flanks of the ATO forces’ tactical groups that manned the new forward edge. As a result of the armed clashes, the enemy was driven back to their starting lines. At the same time, militants moved additional artillery detachments to an area in the vicinity of Starohnativka and Novolaspa. These consist of two 152 mm artillery detachments (according to our preliminary information, one of them is a self-propelled howitzer artillery battery (GSABtr) from the “Kalmius” separate artillery brigade, and the other, a 152 mm Msta-B gun battery from the 1st Separate Motorized Rifle Brigade (OMSBr) of the “Army of the DNR”). The 122 mm artillery units of the DNR Army’s 5th Separate Motorized Rifle Brigade (OMSBr) from Telmanove (D-30 gun battery) are currently taking firing positions, and partially re-equipping some of them. A division of BM-21 Grad MLRS (6 systems) was observed moving out of Starobesheve. In areas north of Luhansk, as well as on the Mykolaivka – Stanytsia Luhanska stretch, terrorist combat and transport vehicles are actively on the move. In the Luhansk – Stukalova Balka – Khrystove sector, up to 20 armored vehicles and weapons were transferred (six tanks, two 152 mm SAU 2S3 “Akatsiya” self-propelled artillery units, three trailer-mounted 122 mm D-30 guns, seven armored fighting vehicles, mainly BMP-2 and some BMP-1 infantry fighting vehicles). Over the past 24 hours, up to 10 tanks, six BMP-2, and 22 transport vehicles (six of which carried D-30 and Msta-B artillery guns) were moved along the Bakhmut motorway in the direction of Zholobok and Slovyanoserbsk. Four SAU 2S1 122 mm self-propelled artillery units were moved from the Petrovskyi district of Donetsk to the Olenivkyi district. A militant armored vehicle group was spotted approaching Oleksandrivka. It was formed of eight tanks and eight armored fighting vehicles (BMP-2 infantry fighting vehicles and BTR-80 armored personnel carriers, including at least two units of the latest Russian BTR-82A model). The terrorists are also actively transferring armored combat equipment to both flanks of the Svitlodarsk bridgehead (two companies of tank troops have been spotted in the vicinity of Holmivskyi, 10-12 tanks in each). A militant motorized rifle detachment (nine armored fighting vehicles, mainly BTR-80 armored personnel carriers and MT-LB light-armored multi-purpose transporters) has been transferred to the area south of Pervomaisk (the area of Irmino-Bryanka).